There are many elements that come together to make a good Arbitrator. These include particulars as to knowledge, skill and demeanor. Of all, the ability to appreciate what is reasonable is often the most critically important skill an Arbitrator should possess. Ironically, reasonableness is also the most elusive skill there is. You can’t find it in a resume; it can’t be measured. You have to look deep. It’s obvious that for a technology Arbitrator, technical and legal knowledge are important. For any Arbitrator, a detailed and practical understanding of arbitration law and procedure and the legal framework within which arbitration operates is also critical. As well, a good Arbitrator has experienced and practical knowledge regarding the ethical rules that govern and relate to arbitration. The demeanor required of a good Arbitrator is somewhat obvious too. It requires the capacity and willingness to act impartially, effectively manage a proceeding and respond decisively and efficiently to the issues raised by the parties. Less obvious to some is that it requires both flexibility and professionalism. That is, it requires an appreciation that Arbitrators should be collaborative, responsive and courteous to counsel and their clients. The required skill set of an Arbitrator goes beyond managing proceedings effectively. It goes beyond acting fairly and impartially. It requires carefully considering the facts, accurately identifying the issues, appreciating the interests of the parties, coming to sensible logical conclusions and making reasoned decisions. Making reasoned decisions involves more than logic; it requires reasonableness. 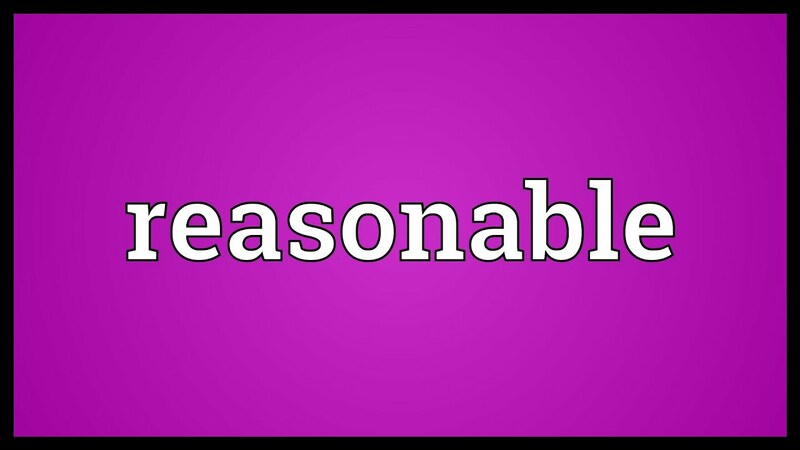 In Supreme Court jurisprudence, a “reasonableness standard” is applied in 4th Amendment cases to require conduct that is objectively reasonable in light of the facts and circumstances without regard to underlying intent or motivation. Much more is expected of Arbitrators when they make their decisions. Nearly every case an Arbitrator handles involves questions of what is reasonable. Undoubtedly, each Arbitrator brings some level of conscious and unconscious subjectivity to the equation. Having skills in a particular field, be it knowing how to do computer coding or knowing the particulars of patent law, may be important in a case but being able to assess reasonable behavior is often the most important skill set. Knowing what’s reasonable is an innate ability that is developed and refined over the course of one’s lifetime. It’s not something learned in a textbook or a legal treatise. As Arbitrators piece through the facts of a case they need to make assessments of conduct, of what the parties did and why. Doing so properly requires being in touch with the world, understanding people and culture. A reasonable Arbitrator will know what’s reasonable under the circumstances and not just in situations where the law or science requires it. A reasonable Arbitrator is insightful about human nature and has a sound and balanced perspective on the way people live, work and interact. The reasonable Arbitrator understands more than just technology, law or procedure. The reasonable Arbitrator understands people.